I bought the gun at the begging of the summer 2013 and never played with it. It's brand new no scratches and still in the box with all accessories. I haven't shot any paint threw it either never had a chance to take it out Please contact me at 6617172352 serious buyers only. 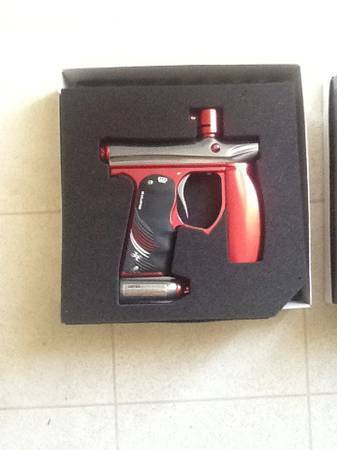 *NEW NEVER USED wanting $320 The guns color is Red an Silver.